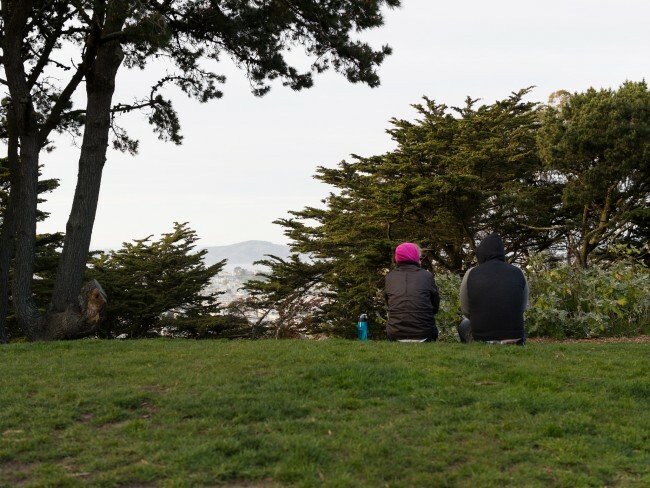 Although San Francisco is densely populated and all of its coastline meets either the Bay or Pacific Ocean, San Franciscans can still find respite in one place: its public spaces. 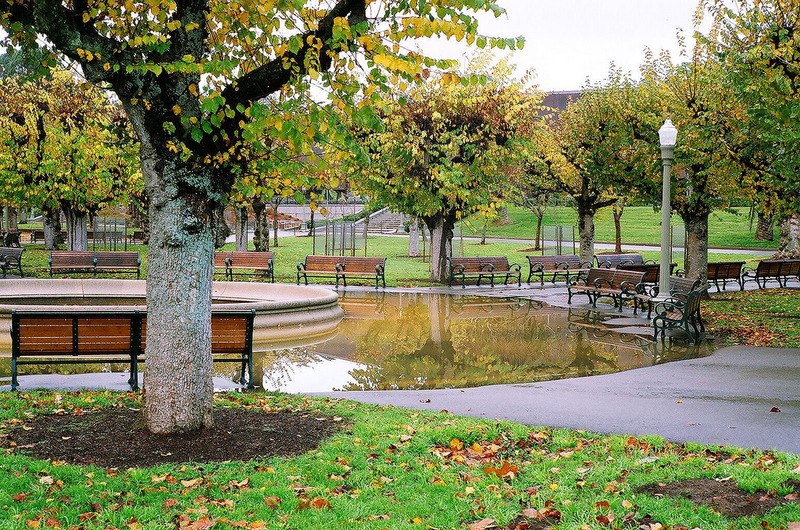 In fact, San Francisco has more parks (220+) than any other city in the United States. This list provides many great options whether biking in an iconic, expansive park or enjoying breathtaking views in a lesser-known park. 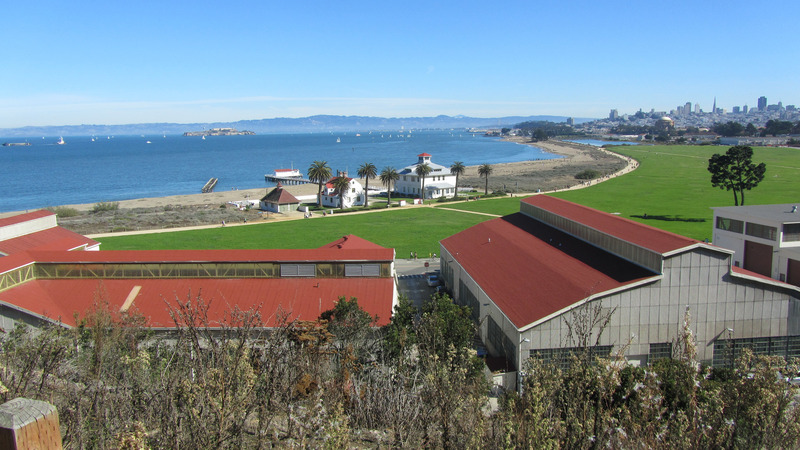 The Presidio, an expanse of mostly green, is located in the northwestern corner of the city. Originally controlled by Spain, and then by Mexico, it became a U.S. Army base in 1846. The Golden Gate Bridge enters San Francisco through the Presidio. This national park extends from the Bay to the Pacific, ending at Baker Beach. 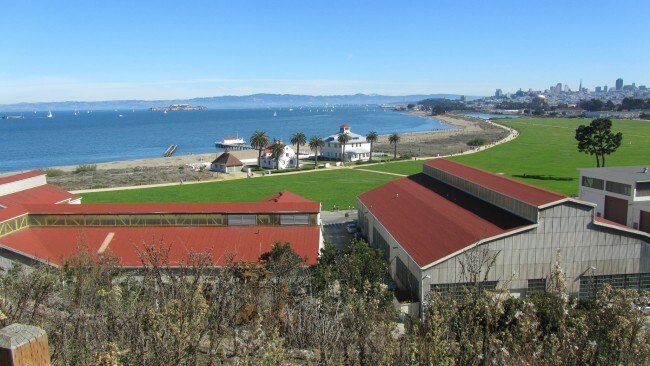 The Walt Disney Family Museum can be found here, as can Crissy Field. Crissy Field formerly functioned as a military airstrip but has been converted to public space, replete with a very nice beach, open grassy fields, bike and walking paths, cafés, public grills and stunning views of Marin County and The Golden Gate Bridge. Rent a bike to explore the vastness of this beautiful park or if you are feeling more adventurous, visit House of Air. Golf is another daytime activity here at the Presidio Golf Course & Clubhouse. Bound by the Richmond and Sunset Districts, Haight-Ashbury and Ocean Beach, Golden Gate Park is a must-see San Francisco landmark. It is, for good reason, the third-most visited park in the United States. In a day, you can observe some American bison, enjoy the world-class de Young Museum, the truly special Japanese Tea Garden, or the educational California Academy of Sciences. Other popular destinations are the Conservatory of Flowers and the San Francisco Botanical Garden. If you prefer to be more physically active, this is a perfect place to run, bike or play pick-up team sports. Easy to overlook and hard to get to, Ina Coolbrith Park is worth the trek. Steep sidewalk inclines discourage many from reaching this small plot of land in Russian Hill, but if the arduous ascent is completed, this park’s near-panoramic vistas are simply breathtaking. 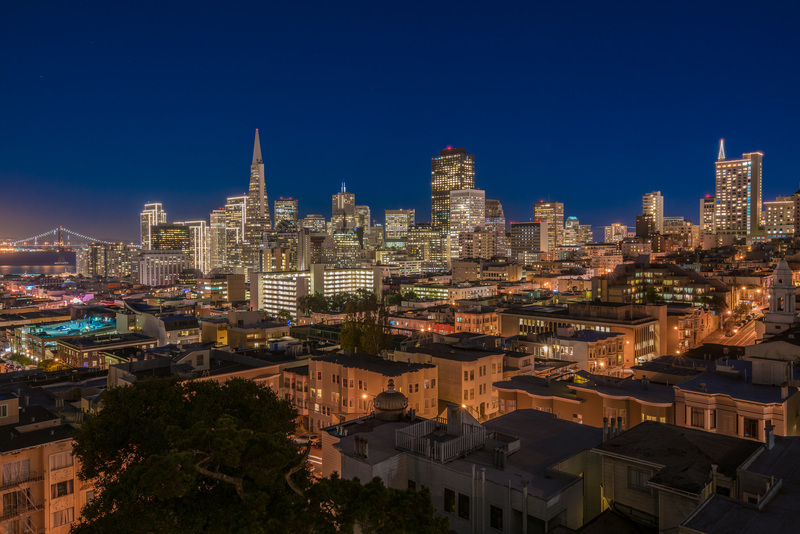 Gazing toward the bay, Coit Tower, the Bay Bridge and San Francisco’s skyline serve as a backdrop. Looking north you see the hills of Marin County dotted with homes. Don’t look past this hidden gem, and come equipped with a good camera. 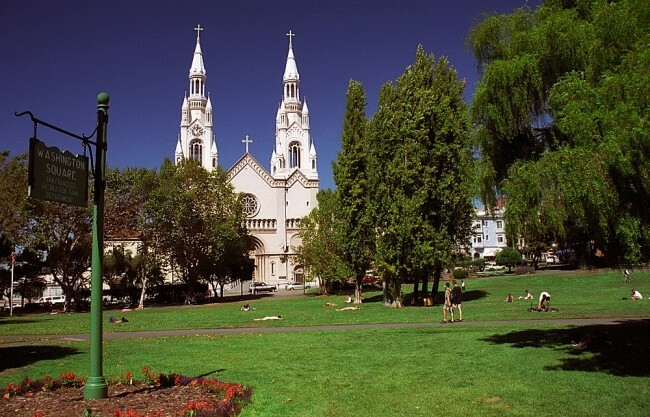 A short walk (downhill) from Ina Coolbrith Park is Washington Square Park, a rectangular-shaped park nestled in San Francisco’s proudly original Italian district. Grab some gelato, maybe a slice from Tony’s, or perhaps some vino rosso and stretch out in the grassy lawn. For those that prefer a seat, don’t worry – there are plenty of wooden benches as well. Expect to encounter many North Beach locals and their dogs here, as it is known to get crowded when the sun comes out. Also, if it happens to be a summer evening, movies are screened here free of charge. Saints Peter and Paul Church overlooks the park, which includes a centrally placed and rather large statue of Ben Franklin. From Washington Square Park, head northeast and uphill on Filbert Street where you will find a dead end met with stairs. This stairwell leads to the magnificent Pioneer Park. Here, the sights are plentiful. Pioneer Park is nearly five acres and was originally built to celebrate America’s 100th birthday in 1876. Situated in the middle of Pioneer Park is Coit Tower, a distinct and integral part of San Francisco’s skyline. Looking west, Russian Hill’s sloped streets are in full view. On a clear day, both The Golden Gate Bridge and Alcatraz can be admired from this public park in Telegraph Hill. Grandview Park, also known as Turtle Hill, is another park that must be visited. Located south of Golden Gate Park in San Francisco’s Sunset District, the views here are nothing short of amazing. On a clear day, the Pacific Ocean, all of Golden Gate Park, the city skyline and the Bay are visible. It opens at 5 a.m. and closes at midnight, so if timed correctly, and with a little luck (no low-lying fog), sunrises and sunsets here are spectacular. Make sure to stop and admire the oft-visited Moraga Steps. Buena Vista Park is the oldest park in San Francisco. It is located where the famed Haight-Ashbury neighborhood meets Buena Vista Heights. Like many of the parks in in the city, Buena Vista has steep inclines to its peak, which stands at 575 feet. What distinguishes this space from others is its natural oak grove habitat. 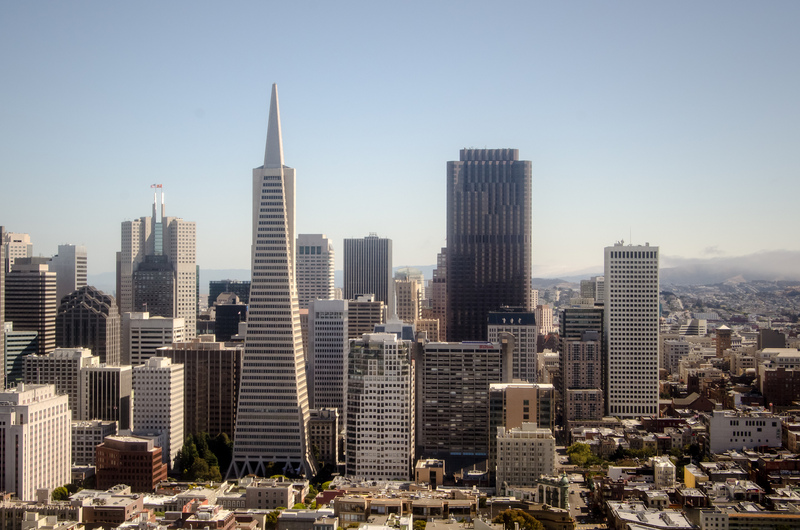 Enjoy magnificent views of downtown, University of San Francisco and San Francisco’s many hills. From this perched vantage point, it is easy to appreciate how this city was developed in spite of an unusually hilly topography. Again, be sure to bring a camera during your visit. This 36-acre plot of land is home to the Victorian and Edwardian homes affectionately referred to as the Painted Ladies. Popularized by the television show Full House, these decorative homes and the city skyline behind them are not the only highlights of this park. 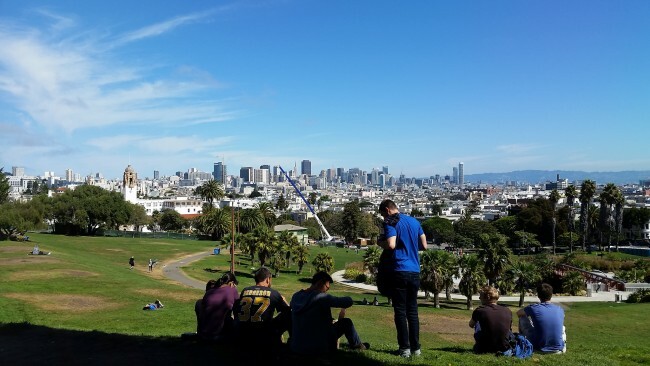 When the weather is nice, Alamo Square is a perfect place to play with dogs, meet people, take an afternoon nap, visit with friends or eat lunch. Hayes Valley and Divisadero Street are both close by, so food options are within reach. Alamo Square Park is a kid-friendly destination because of its popular playground. Patricia’s Green is a small, grassy patch of land in Hayes Valley. Named after community activist Patricia Walkup, this neighborhood hangout was created after the Loma Prieta earthquake damaged a portion of Highway 101 that bisected the area. The now-public space is bustling. For example, Biergarten, Smitten Ice Cream and Ritual Roasters are located within this tiny park. 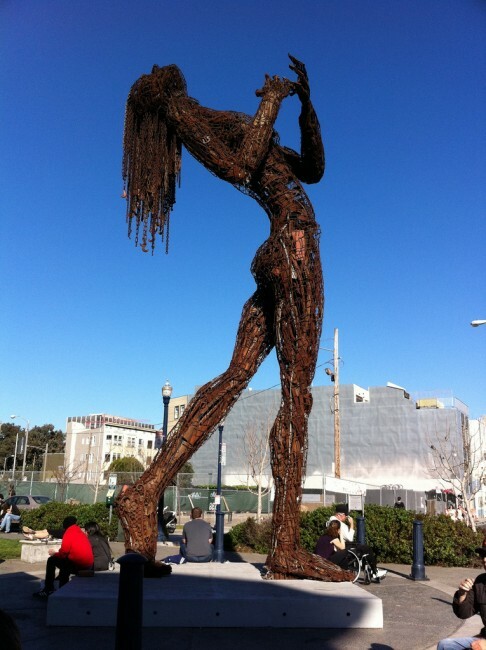 Additionally, public art is installed in the middle of Patricia’s Green every few months with the help of The San Francisco Arts Commission (SFAC). Each summer, a Burning Man-related wooden temple is constructed. This sculpture, both ornate and interactive, encouraged people to scribe personal messages directly onto the wood with different colored markers. The City of San Francisco purchased this plot of land in 1905. In addition to a full-sized basketball court, a bike polo court, soccer field and six tennis courts, Mission Dolores has a large playground for children and playful adults. During nice weekends, this park becomes a meeting place for all types of San Franciscans: friends, couples, families, colleagues, sports teams, etc., who come together to not only enjoy each other’s company but also the wonderful atmosphere provided by the park itself. Mission District and The Castro sandwich the park, so exploring two of the city’s best neighborhoods is another possibility.